Edwards Deming had it right when he said, “Quality is everyone’s responsibility”. Quality of a product or in a service is seldom by chance. It can only be achieved through detailed planning and careful execution. Despite the efforts put in, except for in an ideal scenario, there are still bound to be glitches. However, the thing about Quality Assurance (QA) is that it paves the way for higher efficiency and better performance through incessant testing. 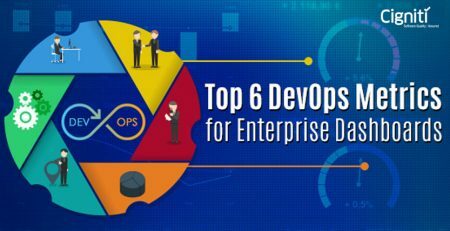 Through the implementation of Agile and DevOps methods, teams now collaborate more than ever before. Developers are merged into a testing cycle right from the early stages. Formerly, the process of testing happened at definite intervals, and testers had to wait for the product to be completely built before they set out to find the bugs and glitches. Admittedly, more time than can be agreed upon was spent waiting for the code to come through to a tester’s lap. With the drastic change in the role of a tester, however, the scope for QA has broadened by leaps and bounds. 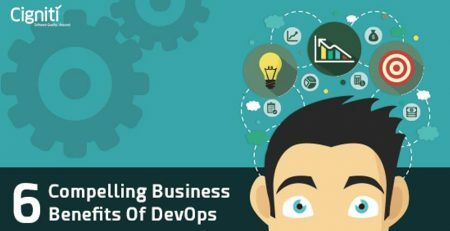 Be it a software-developer-in-test (SDET), or a QA engineer, as a member of a collaborative team, a modern day’s tester has a cadence similar to that of a software development engineer. An SDET, or a QA engineer, would be able to easily validate fields being coded in order to avoid data loss. The QA engineer would also be able to write some basic checks and test ideas for an application programming interface (API), all of which inherently improves the design. Having teams that test earlier in the application lifecycle helps the QA engineers feel far more at ease with tooling and technology. Being able to look through server processes, work with API tools, or just walk through code quickly with a bit of help, is rapidly becoming a desired (and a much-required) skill. The examples that are given while stating the features of a product need to meet the product acceptance criteria, and the assumptions that are waiting to be validated need to meet the business acceptance criteria. In short, defining tests even before the features are completely built is the shift-left testing approach. 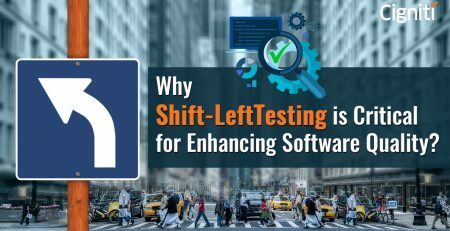 Shift-left testing is key to delivering quality software at speed. In any organization, it can get quite challenging while deploying a new patch of an application. Rigorous testing needs to be conducted throughout, in the form or regression and functional testing, to ensure that patch updates do not destabilize a system. When testing starts earlier on in the cycle, teams are more focused on the quality and have a “let’s get the coding right the first time” outlook. This helps save tremendous amounts of time, and reduces the number of iterations a software development team has to perform for a particular code. Improved design: Through continuous Shift-Left testing and arduous brainstorming sessions, roadblock areas, bottlenecks, and possible performance failures are identified in advance. Even though these discoveries may lead to new design alternatives, they are improved versions of the original idea. Bugs are Fixed Early-On: When we stop and think about how often organizational executives admitted that they “should have” dealt with the issue early on when it was identified, we realize the importance of Shift-Left testing. It gives more breathing room to tackle mistakes immediately after they are spotted, removing the, “let’s come back to this once we finish the critical stuff” (which seldom happens) outlook. Massive Time and Effort Saved: When talking about improvement of efficiency and increase in quality, it would be ironic (and impractical) to hope to achieve those objectives without saving our own time and effort! This is another compelling reason to shift your testing left. While testing early on in the application lifecycle is absolutely essential and highly recommended, it is not enough. Obtaining feedback continuously from users is equally significant and here we have the Shift-Right approach for testing. Some things are out of the test engineer’s purview. A server can have downtime, for instance. A designed application, however, simply cannot afford such a failure. The performance and usability for an application is continuously monitored and accordingly modified. Even while gathering of the requirements, a tester should be quite aware of how users would feel about the functionality of a particular application. The important thing to factor is covering more ground with the testing. Testing should have the right mix at the right time for a given business framework. Such an approach immediately helps engineers understand how the product or feature update was received by the intended users. Enhancing Customer Experience: Through shifting testing right, customer issues care carefully collected. Upon obtaining the feedback, the collection of issues is then translated into technical and business languages. This helps isolate each issue and improve it, thereby enhancing the overall customer experience. More Scope for Automation: Automation saves time, plain and simple. When patches and features are being built into application, automating large parts and even the whole process, saves precious time. User Interface (UI) automation, once the application is stable at a core-functional level, is crucial for testing with speed. Shifting testing to right enables you to do just that!